Playing as a right winger, he started out at Polisportiva Selva Candida before moving to Roma. During the 2012-13 season, he was loaned to Perugia before moving to Pescara on a co-ownership deal. On 14 August 2013, he made his debut for the Italy Under-21 team and three years later he was called up to the senior team. 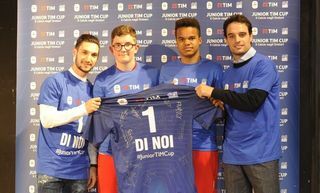 On 25 June 2015, Roma won the auction to his rights before he moved on loan to Sassuolo who had the right to make the move permanent which they took up on 20 May of the following year. 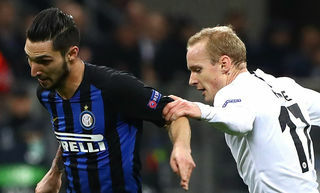 Politano made his UEFA Europa League debut on 28 July 2016 and scored his first goal in continental competition a few days after. He was called up by Italy in March 2017 but once again failed to make his debut which finally came in May 2018 when he featured in the friendly against Saudi Arabia. On 6 May 2018, he scored a goal to keep Sassuolo in Serie A against Sampdoria. 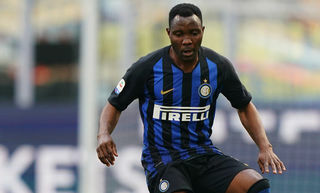 He joined Inter on loan on 30 June 2018. 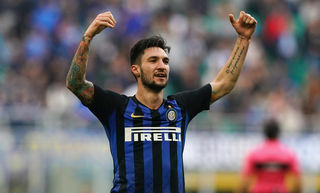 Politano: "We're looking to preserve our advantage"
Politano: "We're disappointed but we'll now focus on the #DerbyMilano"
Politano: "Playing for Inter is an incredible feeling"